BTC Parlor Rope 50 ft. In stock. Order in the next 14 hours, 10 minutes and it will go out today! Best choice for parlor or stage. These ropes are 10mm or 3/8" thick. 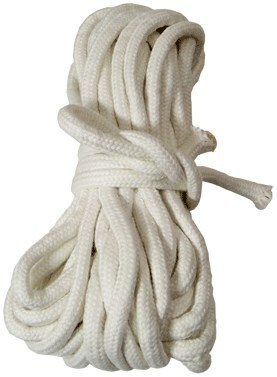 Cotton braided with core, pure white, soft and loose. Community questions about BTC Parlor Rope 50 ft.
BTC Parlor Rope over 325 ft.
BTC Stage Rope 50 ft.
BTC Stage Rope over 325 ft.
Review BTC Parlor Rope 50 ft.